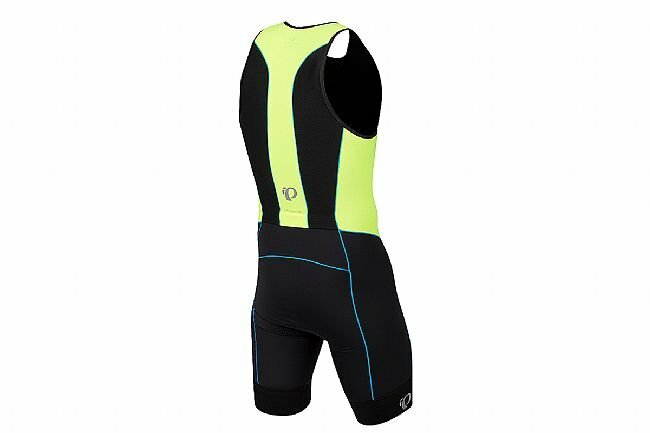 Designed for both short and long course events, Pearl Izumi's ELITE Pursuit Tri Suit is constructed with ELITE Transfer In-R-Cool® fabric, providing superior cooling and sun protection. 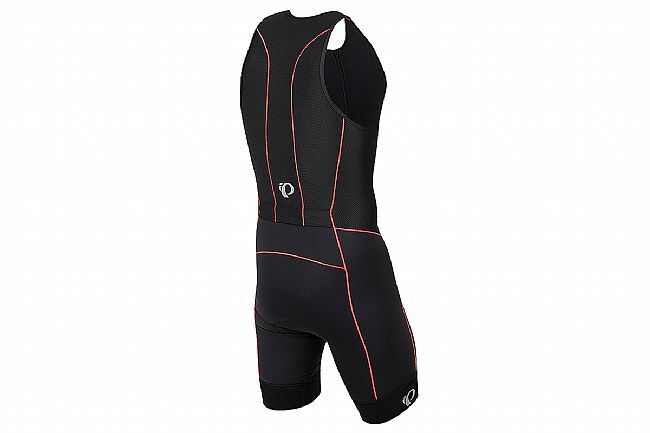 Back and shoulder ELITE Transfer Aero fabric panels help hold airflow against the body for optimal aerodynamics. Two envelope-style rear pockets provide streamlined storage for the race-day essentials, while the 11.5-inch zipper provides customizable ventilation. Inside, the tri-specific chamois is simultaneously low-profile enough to get out of the way while running or swimming, yet supportive enough to do an ultra-length ride.